From an early age, most of us get the message that we should be happy—from well-meaning parents, teachers, and even perfect strangers. “Smile!” we are told. “Why the long face?” we are asked. It’s no wonder we grow up with the idea that feeling anything less than sunny 24/7 is somehow wrong. We’re ashamed to admit, even to ourselves, that sometimes we feel down. It seems that somehow we’ve failed, or that life is cheating us of our due. Facebook and Instagram certainly don’t provide a more balanced view: Everyone else is seemingly on the constant high that has become our society’s norm. I’ve personally bought in to the continuous happiness myth many times, and still have to remind myself that it is just that—a myth. From true valley experiences like sickness or divorce, to the days when life feels just plain old “blah,” my first reaction is usually to try to “fix it.” Something must be wrong, right? I shouldn’t feel this way—I should be happy! Something that has helped me a great deal is to substitute another word for “happiness,” a term that’s broad enough to encompass a more normal range of emotion: well-being. You can continue to have a sense of well-being even in the midst of a low period. Well-being simply recognizes that life is a series of peaks and valleys, both in the macro view and on a daily basis. It is artificial (and impossible) to insist on a constantly in-flowing tide. Try this instead: “Hmmm. I’m feeling a little down lately. I wonder what’s up with that?” And then simply sit with the feeling, and allow it to run its course. The panicky ego wants you to do something to fix what it sees as a problem. It is not comfortable simply experiencing what it considers a “bad” feeling, and will urge you to either suppress it or run away from it. There are lots of ways to do this (and I’ve tried them all): shopping, having a glass or two of wine, watching TV, surfing the web, and so on. None of these activities is “wrong,” unless you use it to avoid or deny your true feelings. 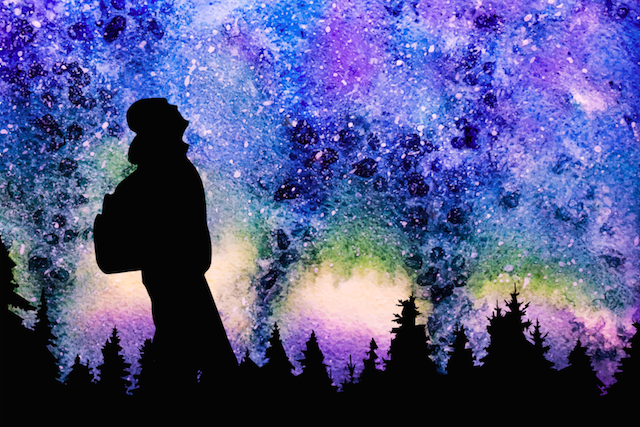 Our emotions, besides simply being a valid part of the human experience, hold important messages for us—messages that we can’t receive when we’re running away. So let’s say you are allowing yourself to have the experience of feeling a bit down. It might even last for a season, but you tell yourself: “It’s okay. I know that this will pass too. I can let myself have this feeling and still be perfectly fine.” That’s well-being. With well-being, you can continue to enjoy all that is good in your life and treat yourself tenderly while simply letting your experience evolve naturally. And it will evolve. The beauty of allowing yourself to feel your feelings rather than stuffing them is that they then can deliver their messages and pass on through. Maybe the message is: You need to slow down a bit. Maybe it’s: The work you’re doing doesn’t feel meaningful anymore. Or maybe you never “figure it out.” Your body or spirit might just need a little healing or integration time. With a sense of well-being, you can trust that life is giving you just what you need, even if it doesn’t make sense or make your ego happy. Well-being is very similar to the Buddhist concept of equanimity, which means serenity or imperturbability. Buddhism teaches that you don’t grasp at the “good” or flee from the “bad,” but accept each as it comes. The Western mind often mistakes this for passivity, but it is not the same. With both equanimity and well-being, appropriate action is taken—naturally and calmly. As a bonus, action removed from the drama of the ego is often much more effective! And there’s another benefit to accepting the so-called “negative” experiences of life: They actually allow you to experience and appreciate the good times far more. When we try to go from one peak to another, we keep raising the ante: What was once satisfying is now boring; what was once a huge win doesn’t seem so impressive anymore. There’s a kind of “happiness inflation” going on that devalues what you have and makes you constantly reach for bigger and better. Feeling “bad,” far from being something to flee, offers so much to those who are willing to embrace the experience. You’ll have to buck the messages of the ego and of society, but you will gain much more in richness of life when you welcome both phases of the tide, the ebb as well as the flow. Amaya Pryce is a spiritual coach and writer living in the Pacific Northwest. Her newest book, How to Grow Your Soul, is available on Amazon. For coaching or to follow her blog, please visit www.amayapryce.com. 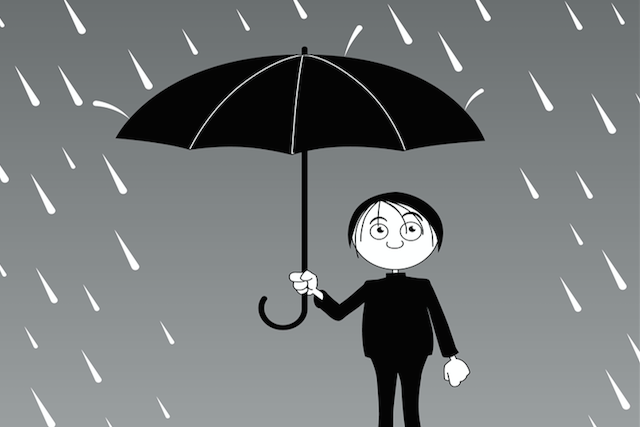 The post Why Feeling “Bad” Isn’t Really So Bad appeared first on Tiny Buddha.